On Saturday 16th January 1926, it was agreed to form a “Provisional International Table Tennis Federation”; the formal foundation was planned to take place later in the year in December at the European Championships; the various parties duly met at the Stadium Club in London and, after administrative matters were cleared, the tournament was re-named the World Championships. The decision was justified because at the time several Indian students, living in England’s capital city, had entered. Immediately following that meeting, the next day on Sunday 12th December, a constitution and election of officials was organised; one of the nine member nation’s present for the historic occasion was Hungary. Now in 2019, it is to Hungary that eyes focus. Steeped in the history of the sport, the central European country will host no less than four international events integral to the calendar of the International Table Tennis Federation. Looking ahead to the end of the year, from Wednesday 6th to Sunday 10th November, Szombathely will be the home for an ITTF World Junior Circuit Premium tournament but it is towards Budapest that eyes are primarily focused. It is in the country’s capital city that attention first turns. 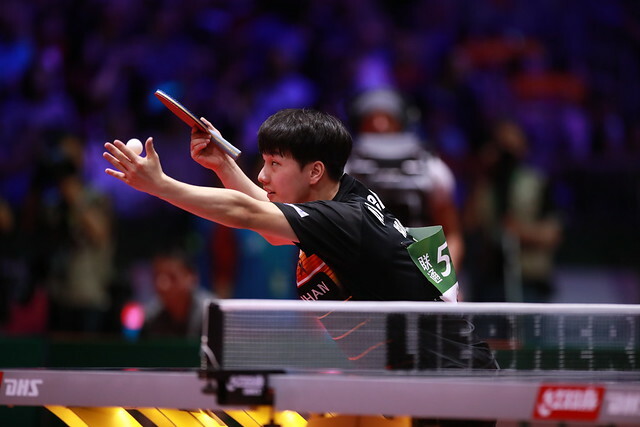 The Seamaster 2019 ITTF World Tour Hungarian Open is the first tournament on the calendar; proceedings commence with the qualification tournament on Tuesday 15th January and conclude with the finals on Sunday 20th January. Furthermore, from Monday 1st to Saturday 6th July, the city will host the European Veteran Championships. However, the pinnacle is to the period from Sunday 21st to Sunday 28th April; on those dates, Budapest will stage the World Championships; a tournament in which the Organising Committee may well be faced with a budget somewhat different to 93 years ago! In 1926 for the first World Championships, the cost was just over £350.00 (US$450.00), taking inflation into account in modern day terms about £18,000.00 (US$23.000.0). Furthermore, in order for the tournament to take place, Ivor Montagu, the ITTF Founder President, agreed to cover any deficit up to £300.00 (US$384.00); that is today the equivalent of £15,000.00 (US$19,000.0). It was a mighty brave decision from a man only 22 years old at the time but of course thoroughly vindicated. Now in 2019 the brave decision is that made by Hungary, four international tournaments; happy new year!